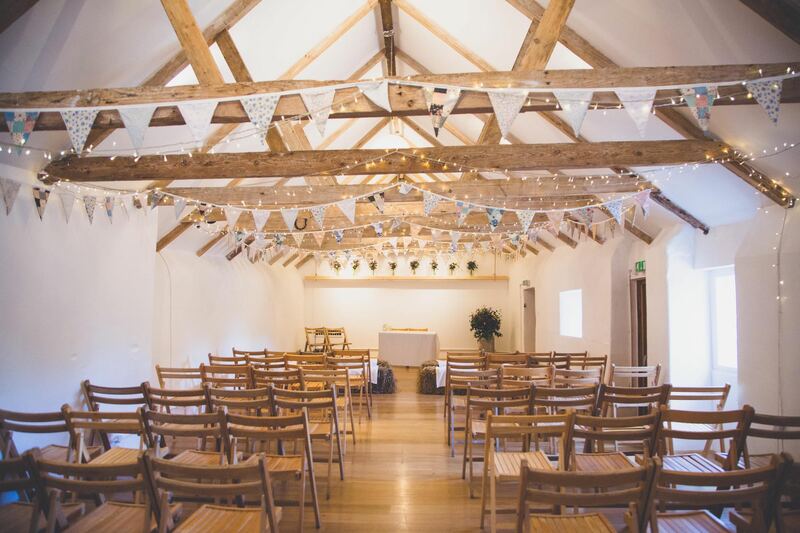 Our stunning wedding barn is the perfect place to have your civil wedding ceremony. 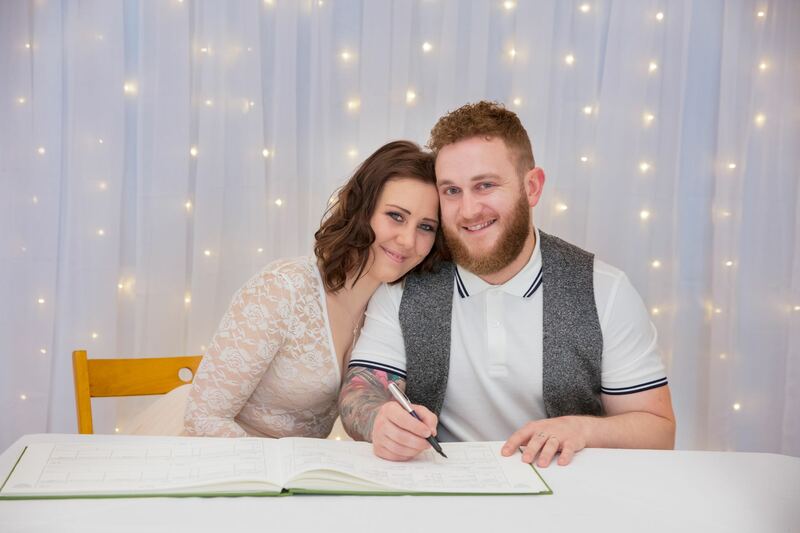 This indoor wedding venue is licensed for civil ceremonies. For more petite weddings you may want us to partition the wedding barn to create a more intimate space. We can achieve this using our light curtain which looks fabulous and makes the room a little more cosy for a smaller group. 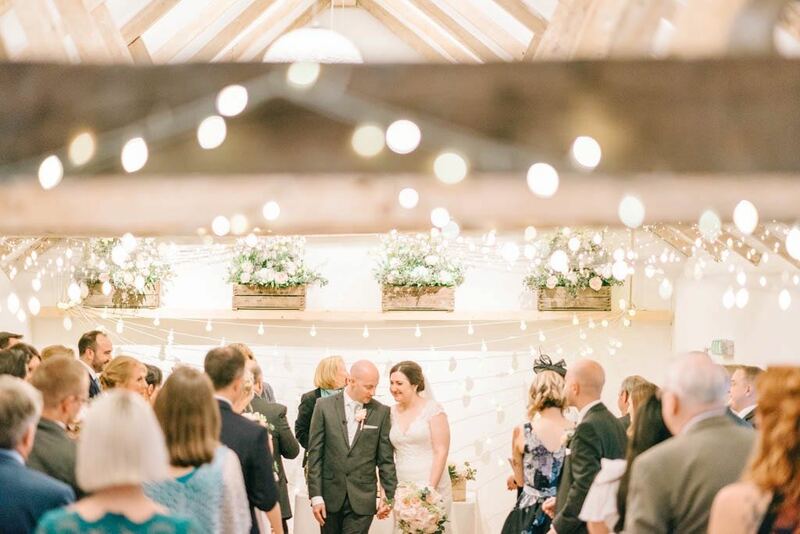 The wedding barn is perfect for your ceremony if you chose to get married indoors. This former milking parlour is built of Cornish stone and has a slate roof.  The space has been brought bang up to date with glass balustrades and oak flooring but retains much of it’s quirky character with original beams, and whitewashed walls. 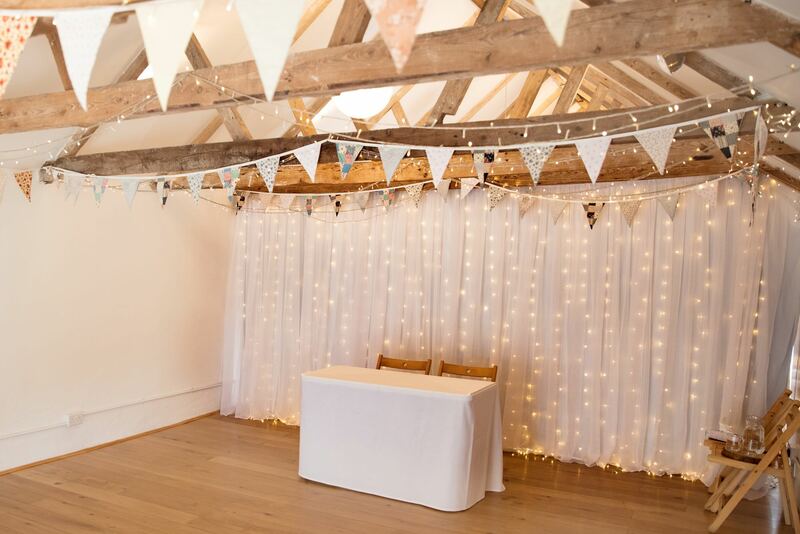 This building is licensed for ceremonies and is decorated with bunting and fairy lights.